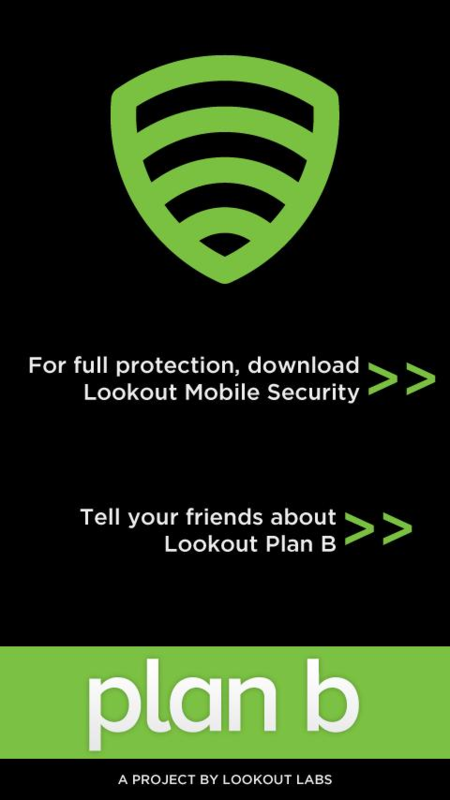 The first fruit of Lookout Labs' labor is a brilliantly simple yet very useful app called Plan B. Plan B was only made possible recently, after the release of the official Android web Market. The app is designed to be the last resort for finding a lost (or maybe even stolen - more on that later) phone and getting its latest position emailed to the account associated with the Android Market. It is only useful if for some reason you forgot to install Lookout, Theft Aware, WaveSecure, or any other tracking apps (you do have at least one installed, right? Right?! ), because otherwise, you know, you would just use them instead. 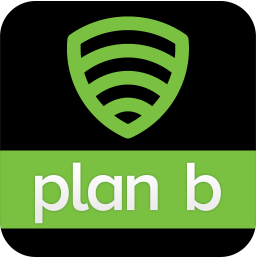 Here is the beauty of Plan B - because of the way the Android web Market works, you do not need to have your phone on you to install apps on it anymore, which makes it possible to push Plan B after the loss, from any browser, as long as you have your Google credentials. 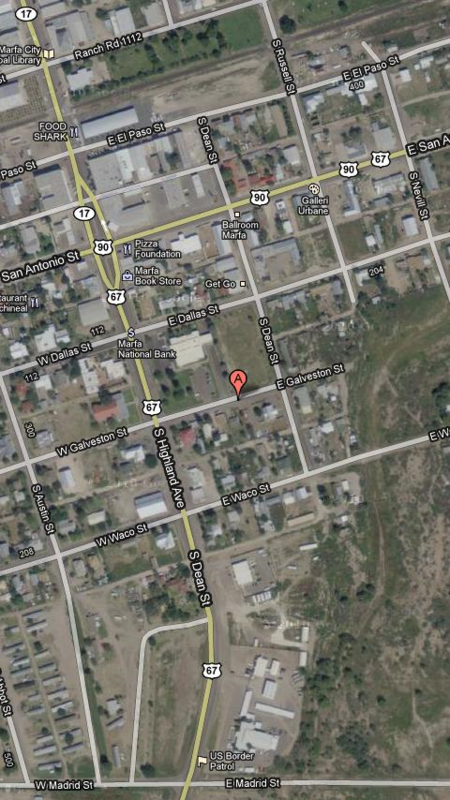 Note: I have replaced my exact coordinates here for privacy reasons. 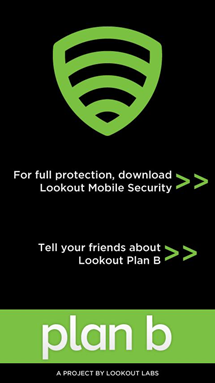 One thing that the Lookout Labs folks were quite specific about was the purpose of this app: to find a lost phone. It is not meant to be stealthy and will show itself very clearly to whoever may be looking at the screen. For this reason, it is probably not the most reliable way to recover a stolen phone, although it can still prove effective if the thief is not constantly checking the screen. In the best case scenario, there is a chance it will send out at least a few emails with coordinates before the thief shuts it down. In the worst... say good-bye to your phone forever. We have specifically designed this app for the "lost phone" case and for privacy reasons we chose to go ahead and make it clear to whomever may be holding the phone that it is being tracked. Security apps with location capabilities always have to be especially careful to avoid cases where the app could be used as a remote surveillance system on an unsuspecting user. 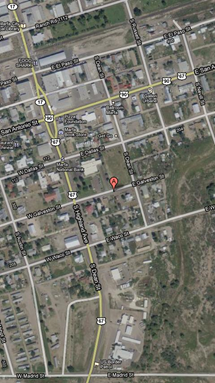 For the initial launch of this app, we chose to follow the more conservative route. Caveat #2: Plan B is currently only available on select carriers in the United States. The latest list I was able to confirm as working consisted of the 4th major U.S. carriers - Verizon, AT&T, Sprint, and T-Mobile. Overall, I'd say Plan B is exactly what plan B is supposed to be - your last resort. When you don't have another option, and the feeling of desperation starts to settle in, remember Plan B. At that point, there is no reason not to try it. Unlike most reviews, I am not going to say "go, try it out right now" because... well, it's not time to use Plan B until it's time to use Plan B (unless, of course, you are just testing). Just make sure to leave a mental note in your brain.